This is Becker’s first picture book, since his bestseller Journey trilogy. Also a wordless book, it tells the story of a girl who is on holiday with her family and who is coming to terms with the loss of her dog. 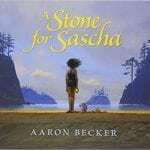 Becker has created an educator’s guide with suggestions for how A Stone for Sascha can be used in the classroom. There is also a video describing the process of how he created the picture book. 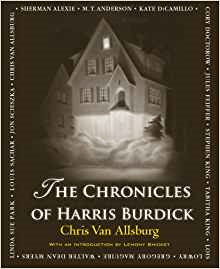 A number of American authors have written their own short story for Chris Van Allsburg’s illustrations, which were originally produced for his picture book The Mysteries of Harris Burdick. Stephen King, Louis Sachar, Jon Scieszka, Gregory Maguire and Kate DiCamillo are some of the authors that have contributed towards the collection, which would be ideal for secondary students. BooksforKeeps have reviewed the book here. 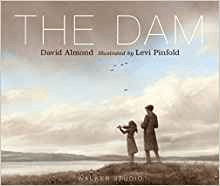 Two musicians pay their final visit to a valley, before it is filled with water, following the construction of a great dam. 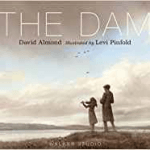 Inspired by a true story, this lyrical picture book encompasses themes of loss, hope and music. Read more about the story here. This is a new picture book from one of my favourite illustrators. 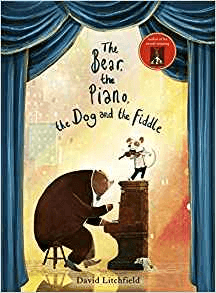 It is the follow up to The Bear and the Piano, which was the winner of the “Waterstones Children’s Book Prize: Best Illustrated Book” in 2016. 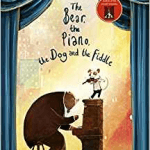 This story celebrates music and friendship with Hugo learning how to play the fiddle and being offered the chance to play with Bear’s Big Band. Litchfield also recently created a stunning illustration, to celebrate 20 years since the release of David Almond’s book Skellig. 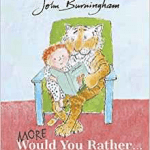 John Burningham, who along with Helen Oxenbury, received the BookTrust Lifetime Achievement Award earlier this year, has written a second Would You Rather book. 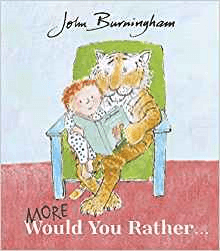 Filled with questions such as “Would you rather have breakfast with bears, lunch with a lion or dinner with ducks”, it is guaranteed to be a hit with children Read more about this picture book here. These books will all be available to read in the Curriculum Centre within the next week. Have you a favourite book that has been recently published? Do let us know. We love to hear your suggestions. Posted on September 20, 2018 by Laura Brett. This entry was posted in Book reviews and tagged Book Reviews, Primary, Secondary. Bookmark the permalink.